Cloud-based sales execution solutions that help sales and marketing leaders succeed faster. "a wonderful system for content management"
Working in the world of RFXs (Request for...Proposals/Information/Quotes etc). a system where you can store content which can then be reused and customised for clients is essential. Qvidian offers an intuitive search function for content making the information you require easy to find. If you have a content management system you need to make sure those in charge maintain it effectively or else you can end up with multiple records for the same content, this misuse is one of my major dislikes. use it to store answers to questions, don't upload bulk documents (e.g. full response documents that you sent to a client). Qvidian is best used in it's simplest form and that is storing boiler plate content which can then be catered when needed for bids. The ability to turn around answers for clients in a short space of time, Qvidian allows you to keep all your content in once place and it can be used at the click of a couple of buttons. The content can also be updated (providing you have admin rights) which certainly helps when working on bids. "Good option for writing proposals"
I loved browser based library which allows me to work remotely, customizability of user interface is the best of all and I can see the file without having to download it, making it things easier to keep track of what information i have already used. I have not used this very much but as far I have used it, I felt some issues with the indexing of items which makes user suffer when they try to search something and it kinda takes too much time in implementation. I am not very much happy with the services they were providing at that moment, though I have used a trial copy but I would suggest this to use and report your problems, support team is actually very supportive and provide the solution whatever necessary. Proposal making is more efficient and less time consuming and allowing us to use our saved time in other works more efficiently to solve problems. "Great tool to manage RFP's and create automated documents"
The feature set keeps getting better. With options to import RFP documents from Word/Excel; to performing auto-fill and search capabilities while responding to RFP's and the ability to integrate and create documents using Salesforce. "Speeds time to response immensely by reducing research and writing time." Once you have hit a critical mass with the amount of content that you have published - Qvidian is a great tool that prevents re-writing the same content over and over. If you set up your environment mindfully and make your more standardized offering language modular - it can easily reduce time to response and time researching in half if not more. When using the library - the right click menus and sub-menus seem to disappear when trying to make selections often. Also, your environment will only be as good as your admins, so if you do not have the right team for implementation the tool will likely fail. The success of your Qvidian environment will depend largely upon your implementation team and your admins. If you have the right team in place this should be a great tool for your enterprise. We are reducing our time to response. We are also answering a large volume of responses with a very small team, which would literally be impossible if we had not automated many of our processes. "We are expanding Qvidian access to our Sales Directors"
Qvidian easily handles multiple formats: Word, Excel, Power Point, PDF. 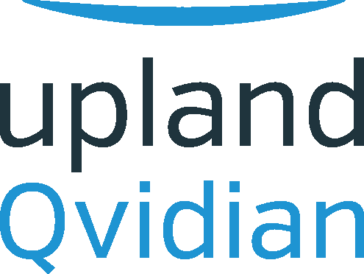 A little longer learning curve for our Salesforce administrator to help us integrate with Qvidian. Our Sales Directors are starting to access our complete Qvidian library of Power Point slides through the Salesforce Opportunity level and we are allowing them to be more self-served. "Excellent product but don't under-estimate how much time you have to invest in it." Qvidian Proposal Automation (QPA) is an excellent content repository. It's browser-based cloud library is excellent for organizations who have workforces who occasionally work remotely without direct access to a network drive. The system is comprised of two major components, the library and the project management tool. Both have their own valuable benefits and they can interact very well together. Lastly, QPA is very good at highlighting for you (almost without even trying) where your processes lack the necessary organization to function at a high level. It is built to enable companies to manage their content to industry best-practices and if you aren't doing so, you can see that very quickly. 2) It's time consuming. This is a bit of a double-edged sword. The honest truth is that managing QPA is a very time-consuming endeavor and if you don't have a dedicated resource, you're likely to struggle with the maintenance of your content. That sounds bad, but really, this fact is true whether you are using QPA or not. Having this system in place helps clarify for you exactly what you are and are not doing, which is actually more of a positive than a negative...but understand up-front that it takes an ongoing time commitment to maintain an effective content repository. I absolutely recommend using Qvidian. It's a wonderful product that will push your organization forward if you make the commitment to leveraging it's capabilities. I HIGHLY recommend the investment in a dedicated resource for the management of the system. It will pay off at 10x the value of the expense. As a result of a merger, our company grew from a department of 3 proposal management professionals to a team of over 12 over the course of 4 years. It became very apparent that the processes in place for managing a small team were insufficient with a much more diverse group. QPA has helped us centralize our content more effectively, it has improved the sharing and management of our content and it has forced us to re-examine our inefficient processes to get better just on the basis of it's capabilities. Beyond that, we still know we're only leveraging some of the benefits that QPA can provide and it has helped us gameplan additional improvements in order to better leverage the opportunities it can provide. Projects that weren't even on our radar are now in the pipeline because we discovered a way to make them possible by leveraging QPA. A great deal of this is thanks to learning what other companies have accomplished with it by attending their annual customer-conference. "Solid proposal builder and resource library. " Qvidian allows my company to create build proposals unique to each prospective client's needs, and to preview, review, and adjust as needed based off of our current needs. The UX is not the most amazing, and I think finding your way through the resource library can be a little bit confusing. This is a great project if you're looking for a flexible proposal builder! Having an efficient way to build proposals, but being able to create proposals that are unique to each of our individual client's situations. We also are able to access all of our client-facing materials without having to worry if they are the most updated, etc. Qvidian is a simple to use content management system specifically tailored to RFx responses. The interface is easy to navigate. Uploading content can be cumbersome, especially updating current content. This requires a Microsoft Word plugin and very specific formatting. Would like to see this area improved i.e. dissecting old RFx's and uploading. Better than basically anything out there currently. Has room to improve. Our proposal writing is much faster with Qvidian. It allows us to maintain a database of responses to pull from. "Proposal automation is cool, but the best feature is the content library." The content library is robust and easy to integrate with Word files. Generally, the organization is familiar to Windows and fairly reliable in terms of recall. Proposal automation is an easy way to get a base/template file quickly. Errors seemed to be fairly frequent. Customer support wants to do a full scale investigation when you really need a quick fix NOW (read: deadline impending). Searching in the library sometimes did not find the content I wanted up-top. I don't know if this is a problem with Qvidian's algorithm or the way we tagged content. Our initial build with the Qvidian architects took a long time, with some frustration. I've heard from Qvidian reps that they are totally revamping the content library. I'm confident this will help improve the system. Making proposal production more efficient. Searching for content was reduced, allowing us to use our time more effectively. We weren't able to actually use Qvidian to produce our RFPs due to formatting requirements. 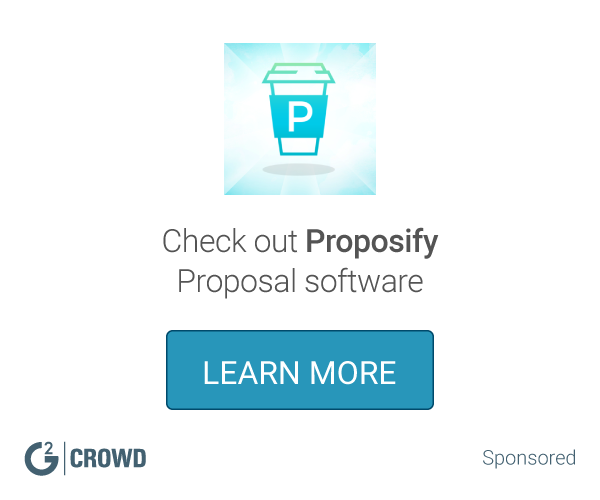 If you're looking for a product that will allow you to centralize proposal content, Qvidian is a useful tool. It also allows for access to this content by all sales department members regardless of geographic location. By having everything centralized, it can help streamline our RFP process. Further, it allows you to more easily ensure that proposal content is current and accurate. "Qvidian has delivered on all requirements"
Any product including those produced by my company has room for improvement and keeping up with changing requirements. Qvidian does a good job keeping up. This review is anonymous only because I am not authorized to represent my company as an endorsement or reference. Ask your Qvidian account representative for the opportunity to privately talk with experienced users. Be careful, however, to ensure that the users have real experience and are sufficiently trained in the use of the product. Too many users expect to use any product (Qvidian, those produced by my company, and others) with no training then are disappointed with their lack of success. As intuitive as Qvidian is, it does require minimal training and setting of expectations. Join the Qvidian User Community and review the discussions, knowledge base, training, etc. Visit the Learning Resources videos, which demonstrate the product at a more practical than typical demos. If your buying cycle timing works out, attend the annual user conference. Don't make your buying decision in a vacuum. Work with colleagues including proposal managers, account representatives, management, and your purchasing department. Adoption will be much smoother if such groups feel they contributed to the decision. Do not try to take all training at once. Adopt a just-in-time approach. The product capabilities are too deep to be properly absorbed when first introduced. "I use this product to help with proposal writing for my company." I like the fact that I can tell how often a piece of content is used/when it was last updated and that I can preview it without having to download the document every time, making it easier to keep track of what information I've already used. I believe that in conjunction with the tool, it helps to take various webinars that they offer to better help with business writing. These webinars don't necessarily help you better use the product, but ensure that that your quality of materials are improved. Ultimately, we are trying to convey to potential clients the benefits of hiring us for their talent acqusition needs while maintaining a consistent message. The main benefit I've found in using this product is the fact that it provides a centralized location for me and my team to keep and retreive information about our company's services. I love QPA's content management functions. Tracking content metadata and the ability to create custom metadata help immensely to organize, maintain, and evaluate our content. Additionally, the ability to access our content within a web browser environment allows us to obtain the information we need from virtually anywhere. The ability to generate a URL for a piece of content allows us to have a self-service setup for anyone to have immediate access to the most up-to-date content available. The only significant issue I've encountered is that changing content properties marks that content as modified. It would be nice to have a major/minor update property, with which you can select whether your update should be considered modified or not. Major updates would reflect significant changes made to the content and minor updates would be reserved for small content edits, such as typo and formatting corrections. and for content properties updates. We often rely on the modified date to denote whether something may be outdated. It would be nice to know from a glance whether something within the content was changed or if it was just a change in the content properties. Qvidian Proposal Automation is a spectacular product with many benefits for users of all types. On the rare occasion I experience any problems, Qvidian's support staff quickly and effectively resolve any issues. I can rely on QPA to be there with our content ready for action. QPA has helped us maintain our content and provides efficient and consistent methods for creating proposals. With thousands of boilerplate and Q&A content records, it can be very difficult to keep all the information up to date. With expiration dates and customized views, we can see right away which items need to be evaluated. "Qvidian is a Good Tool...but could be Better"
Searches have to very specific. There is no intelligent searching where it brings up things related to what you're searching for. It would also be a much better thing if we could copy and paste content directly from Qvidian, rather than downloading the entire document. If you give it a test run and are comfortable with the format, I'd recommend. This helps bring content into proposals more quickly and enables us to concentrate on other aspects of the proposal process. "Expands proposal excellence out to your sales team"
Qvidian Proposal Automation provides the flexibility to solve a range of document automation, customisation and personalisation challenges. It means that we can extend the proposal best-practice knowledge and skills of our team out to the wider sales team so that we deliver consistent, quality and persuasive proposals to our customers. I would like to see more flexibility and control in the area of document architecture with a richer logic to create more powerful value-propositions. Think very carefully about the problems you are trying to solve for your business and the priority you assign to resolving those problems. This will help you to focus your own resources on delivering the biggest RoI in the shortest possible time, which is critical for justifying the allocation of resources, driving new user adoption and expanding the features and capabilities. The more effort you put into your Qvidian deployment the more benefit you will derive. But the big advantage is that you will multiply these efforts across your salespeople to make them more efficient, present higher quality proposals to customers and win more business. We have rationalised all our content in one place, enriched our proactive proposals with persuasive, client-focused content and delivered value to other parts of the organisation through innovative use of QPA to automate customer facing documents of all kinds. Going from having multiple versions of Word docs that were being emailed around to having everything in one place with the ability to assign and track versions was huge. Qvidian training and support are very helpful. The product itself is a giant step forward from working solely in Word and greatly streamlined our proposal process. We were working just in MS Word before, but by automating the proposal process we eliminated many of the headaches of tracking document versions and figuring out who was responsible for what. "Excellent software. Our best solution for now, but still has shortcomings in our field." Qvidian has clearly devoted significant time and attention to strategically upgrading the software. They put money back into it. A prior database software we had... well, their "upgrades" were junky feature 'enhancements' that no one cared about. Qvidian upgrades are legitimate ongoing patches and notable annual improvements. Many complains I had when I first began acting as a Qvidian administrator have been fixed over the years. While Qvidian is good, it's not perfect (for our use at least). But, I am confident as time goes on, that it will continue to enhance and improve. Support is good, but lacking. We had big issues with the QPA 10 install due to our VERY strict corporate firewall and security protocols. Getting our IT and someone from Qvidian to figure it out was... ugh! I sometimes have a hard time dealing with our IT (they have been duct-taping our dinosaur of 100+ old systems that ened to work together in the 21st century for eons)... so, there is a decent chance this was our fault. But frustrating nonetheless. I wish progress on some of the enhancements we'd like to see moved quicker. Who doesnt? I wish the proposal automation aspect was more usable for us. I'm in healthcare and, well, this software is not necessarily designed for similar but variable auto-population of responses. I have seen it work well in other businesses, but how we use it, the auto-population methodology is unrealiable. I wish that administration of content was easier, automated, something. Another user said, to get the most out of it, you need a DEDICATED content administrator. This is absolutely, 100% true. Qvidian has fantastic capabilities... but you have to put in set-up and ongoing maintenance/management to reap your rewards. Unfortuantely, many companies don't have the resources. I've evaluated solutions for two prior companies. Qvidian has a lot to offer, and very competitive pricing. But, the right solution for you really depends on how customized your responses are, how you use the software, and the administrator you have (will this person have lots of prior experience, be dedicated, or is this one of your current team members who is getting is assigned to them?). Ask for demos using YOUR information. Ask for a month trial. Qvidian, and others, will do this. Spend time weighing all the pros and cons. Qvidian is one of the best on the market, but not perfect. I'm sure I have nothing new or unique to say here. The age old RFP problems: accuracy, thoroughness, consistency, accessibility (since this is cloud-based), searchability. I have been using Qvidian for several years now and find it to be a valuable part of our proposal response. It keeps our team connected and consistent. Frequently used content is current with regular refresh, the tool allows you to add expiration dates and search word capacity for easy retrieval. Customer service has always been prompt and thorough, often working with our overseas employees on off hours. The Qvidian community is a great place to connect with other users and join weekly tutorials. Updates sometime interfere with usage - it doesn't always work well with Explorer and we have to reconfigure. I would also like to see easy movement of content from one folder to another by using the drag and drop. I definitely recommend Qvidian to for proposal automation. More of an internal issue. Managing content is our bigger challenge. Qvidian needs a dedicated administration to make it completely polished, but the tool does a good job of managing updates. "Excellent resource for proposal writing professionals"
What I like best about Qvidian is the way I can search for records with an exact phrase. This saves me a lot of time if I am just tryng to verify stats or information in an existing record that I want to reuse again. I can't really think of anything I dislike about Qvidian. I know there are a lot more features to it that I don't use but after our initial training on the application, I have pretty much used the Advanced Search tools and that gets me the information I need. This is an excellent resource for any proposal development team. I am a frequent user within an extremely busy proposal team and Qvidian has been a breeze to work with. I use Qvidian to populate RFP responses. It is a quick and easy way to find information in our database that holds well over 10,000-20,000 records. "Automation saves time and improves output"
We love the quality control Qvidian provides. We are able to input numbers, figures and stats correctly and update them as they change so easily, in just one step! Entering them one time then having them enter in through merge codes is such a huge leap forward in quality control and reduction of human error. This of course also applies to client name, industry, and other items that used to be input manually, multiple times throughout a document allowing room for error. Along with this, we can also ensure colors, verbiage, etc. is all controlled from the back end. There isn't much I dislike, the only thing that hasn't worked exactly as we want it to as yet is an advanced function related to selection lists for merging in images - but the Qvidian team has it on their list to see if it could be a potential future improvement! Again, quality control - and of course, time and efficiency. Qvidian allows our users to create a baseline or starting point proposal faster than before and with more customization than before. To be able to have a higher quality document, in less time, is invaluable. "Great product for entire Sales cycle"
The advanced search capabilities in the library and the intelligence of Auto-Fill when building a proposal. You need every competitive edge. If you use it and some of your competitors do not, that's one more differentiator for you. Automating the repetitive aspects of proposal development. It saves our team hours of work. I like the ability to set an expiration date for some language. It aids in keeping everything up to date. I dislike how Qvidian logs you out automatically after such a short period of time. I also don't like that the only way to edit or download a response is by waiting to launch a Microsoft Word document. We are trying to solve the problem of reusing old RFP responses by keeping an up-to-date Qvidian database that has all the latest language. The software has worked quite well, and has increased efficiency. "Fully customizable proposals that hold our brand integrity." I appreciate all of the options that we can build into our proposal book. Being able to update content that is shown in multiple parts of the book (or even other projects) by changing one item is a big time saver. Being able to customize the content for each company we are sending a proposal to, while still remaining consistent in our message (voice & tone). There isn't much I dislike about this product. Consistent content across multiple platforms. "Pretty much the gold standard"
It really does make finding, using, and updating proposal content so easy. Qvidian makes it easy to store, search and reuse proposal content. There's no better product I've used that is more intuitive. Formatting Microsoft Word files within QPA has been a challenge, but with its Office integration, it is at least a possibility. I have been a proposal writer for 9 years and no other system I've used or seen can compete with QPA. QPA's functionality ultimately makes it easy to produce higher quality proposals in less time. "RFP Tool for Financial Services"
"Qvidian simplifies proposal writing process!" All company information is stored in one place. Creating library could be a little more simplified. Also, storing very large can freeze the program. The software is very helpful in creating company proposals although not the easiest to use for beginners. "Good tool for RFP assistance"
I like that all the Q/A is in one location. Can be a little cumbersome if you are not familiar with the tool. We use the tool for RFP Q/A mostly. It's great to have the answers in one place. * We monitor all Qvidian reviews to prevent fraudulent reviews and keep review quality high. We do not post reviews by company employees or direct competitors. Validated reviews require the user to submit a screenshot of the product containing their user ID, in order to verify a user is an actual user of the product. Hi there! Are you looking to implement a solution like Qvidian?